Every day I come to work I am amazed at the privilege of caring for babies and little children. 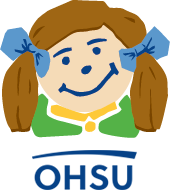 It is the most rewarding aspect of my career that parents, faced with fear and anxiety for the health of their precious children, put their confidence in our team to give them the best care possible. Dawson Tucker is a great example. Born with hydrocephalus, or water on the brain, this beautiful boy needed the surgical implantation of a shunt to relieve the pressure and allow his brain to develop normally. It was a real pleasure to care for him and to get to know his parents and extended family that came to the hospital in his support. I got a big surprise when Dawson came back to clinic for his post-operative check-up. Dawson’s family had seen how important it is for older children in the hospital to have fun activities and a supportive environment. They saw that some kids go for rides in little red wagons to lighten the day, get out of their roomsor relieve the anxiety of going for a test. 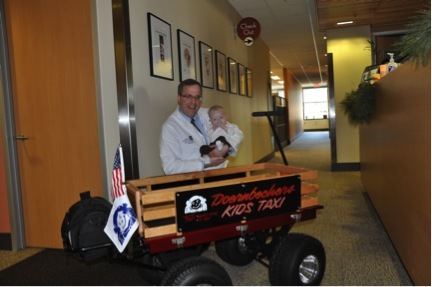 Dawson’s grandfather decided to get together with other family members and donors in his town and build the most tricked out red wagon Doernbecher had ever seen! Every day when I see a patient riding in the Tuckers’ wagon down the halls of Doernbecher, I am reminded what a great community I am a part of. It involves doctors, nurses, patients, families, donors, professional staff, and thousands upon thousands of other Oregonians. Best of all? Dawson’s family had so much fun building this wagon for Doernbecher, they decided to build more. Thanks, Tuckers! Such a touching story! I myself, as I’m sure an abundance of other parents feel that we can never pay it forward enough. Dr. Selden and all of the team at Doernbecher have been so great to us!! We will be making our way up to Portland for appointments with the CDRC this next week and I am bringing a load of toys to donate to the Child Life team. I called ahead to see what the process would be to do so and everyone on the phone was beyond grateful and appreciative! It is incomparable to the hundreds of thousands of dollars that are donated but they made me feel like it was! Thank you from the bottom of my heart for making every phone call, appt and scare easier on our children and us as parents!! You are the best of the best!! Thank you for sharing this story. 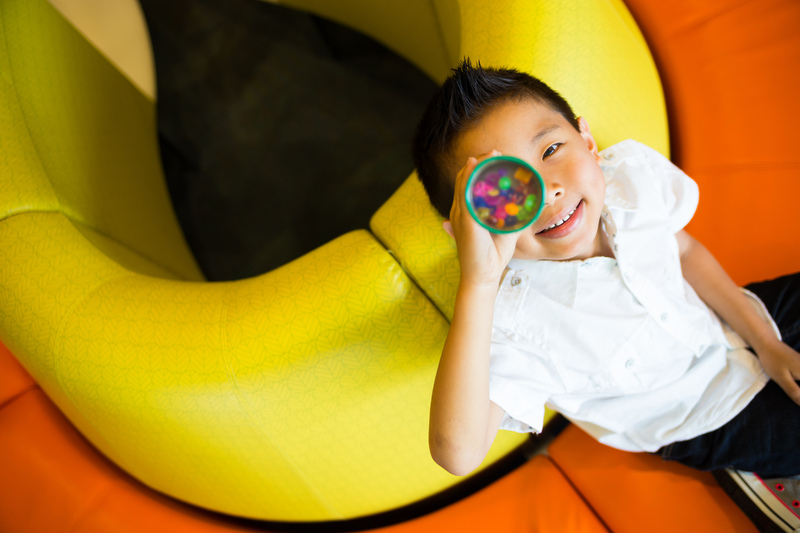 The loving and community oriented atmosphere at Doernbecher is incredibly inspiring and inviting.